Here’s our genre-spanning list of new and old recommendations. Was one of your New Year’s resolutions to read more books – but you’re not sure where to begin? I asked around the newsroom to find out what our staff's been reading and created a handy list for you to take with you next time you hit the library or local book store! Are you into advice books? 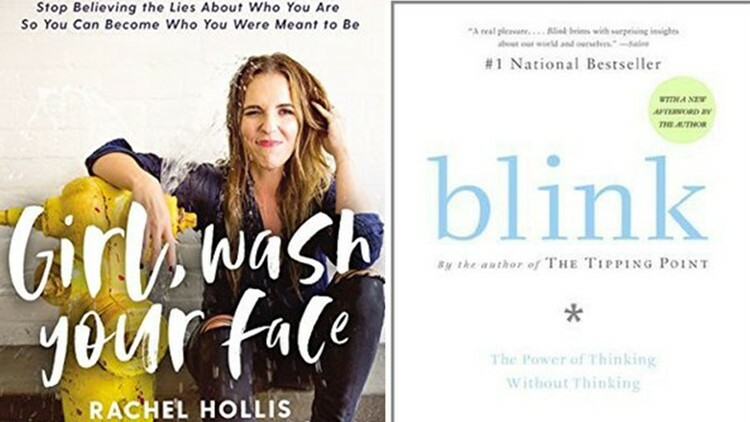 Anchor Anavid Reyes said she’s “obsessed” with 'Girl Wash Your Face: Stop Believing the Lies about Who You Are So You Can Be Who You Were Meant to Be' by Rachel Hollis, the founder of TheChicSite.com. And Anavid isn’t the only KVUE team member reading about how to shift your thinking! Producer Madelin Ryan said she’s loving 'Blink: The Power of Thinking Without Thinking' by Malcolm Gladwell. And while you’re checking that one out, Madelin said Gladwell is her favorite writer and his book, 'The Tipping Point: How Little Things Can Make a Big Difference,' is her favorite book ever! Digital Producer Rebecca Flores highly recommends 'You’re a Bad***: How to Stop Doubting Your Greatness and Start an Awesome Life' by Jen Sincero,' a fun how-to guide that you can read to wind down after work. Reporter Luis de Leon is reading 'Tiny Beautiful Things: Advice on Love and Life from Dear Sugar' by Cheryl Strayed. Meteorologist Erika Lopez is reading 'Work Happy: What Great Bosses Know' by Jill Geisler. And Producer Lauren Petterson is currently reading both 'Big Magic: Creative Living Beyond Fear' by Elizabeth Gilbert and 'Daring Greatly: How the Courage to Be Vulnerable Transforms the Way We Live, Love, Parent, and Lead' by Brené Brown. 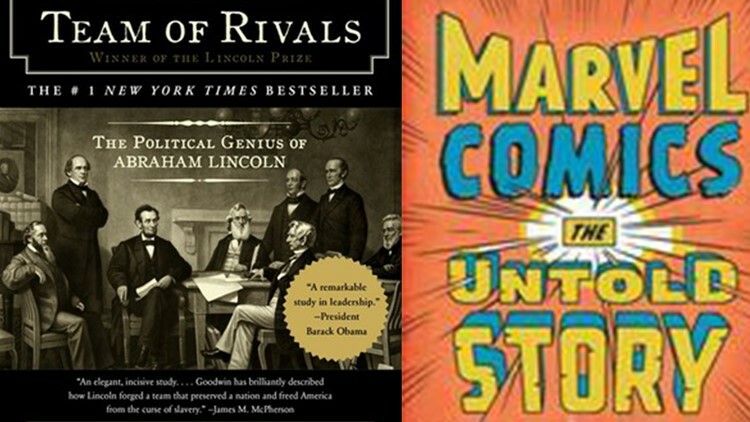 Reporter Rebeca Trejo is reading 'Team of Rivals: The Political Genius of Abraham Lincoln' by Doris Kearns Goodwin, the biography that the 2012 film 'Lincoln' was based on. She said it’s interesting – but she wouldn’t recommend it to anyone who isn’t interested in history or politics because it’s very in-depth. Executive Producer Chrissy Mazzone is reading both 'Natural Causes: An Epidemic of Wellness, the Certainty of Dying, and Killing Ourselves to Live Longer' by Barbara Ehrenreich and 'The Devil in the White City: Murder, Magic, and Madness at the Fair That Changed America' by Erik Larson. Digital Producer Andrew Wilson is reading 'Collapse: How Societies Choose to Fail or Succeed' by Jared Diamond. Our News Director Tim Ryan is reading 'Friday Night Lights: A Town, a Team, and a Dream' by H.G. Bissinger and '1944: FDR and the Year That Changed History' by Jay Winik. And Photographer Jackson Grimm is reading 'Marvel Comics: The Untold Story' by Sean Howe, which he said talks about how Marvel Comics got started and became the powerful force we know it as today. Bonus fiction book: Jackson said he’s also reading 'Pet Semetary' by Stephen King – not a bad idea since the remake premieres at SXSW in just a few weeks! More of a memoir person? Digital Producer Drew Knight said, as a fan of 'Broad City,' he’s looking forward to checking out 'I Might Regret This: Essays, Drawings, Vulnerabilities, and Other Stuff' by Abbi Jacobson. Rumor has it, it even has a chapter where Austin plays a part. In the mood for some fiction? Digital Content Manager Shawna Reding recommends 'A Game of Thrones' by George R.R. Martin. She said if you’re a fan of the show, you’ll love the book! She also recommends 'A Prayer for Owen Meany' by John Irving, one of her all-time favorites. Reporter/anchor Kris Betts is an avid reader, so she had several books to recommend! 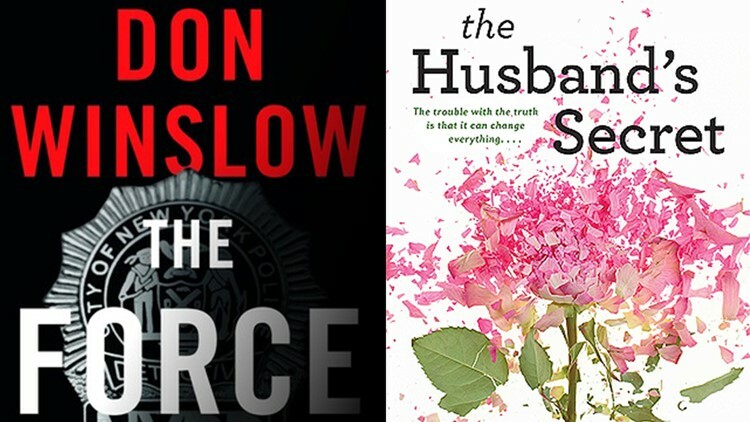 'The Force' by Don Winslow, which takes you inside the underbelly of the New York Police Department and has an ending she said she never saw coming; 'What Alice Forgot' and 'The Husband’s Secret,' both by Liane Moriarty, the author of 'Big Little Lies'; and 'Leaving Time' by Jodi Picoult, which Kris said is not only a mystery novel, but a “poignant read about mother/daughter relationships, loss and an inside look at how elephant researchers work.” Variety! Finally, here are some recommendations from me! For something sweet, but unexpected: 'Love Walked In' by Marisa de los Santos. For spooky with a bonkers ending: 'Final Girls: A Novel' by Riley Sager. For sci-fi with a deeper message: 'An Absolutely Remarkable Thing' by Hank Green. For crying all the tears: 'Everything I Never Told You' by Celeste Ng. And finally, one of the best books I’ve ever read: 'I’ll Give You the Sun' by Jandy Nelson. Don’t be fooled by its “Young Adult” label. Now get out there and crack open a book -- or several!